Wow. 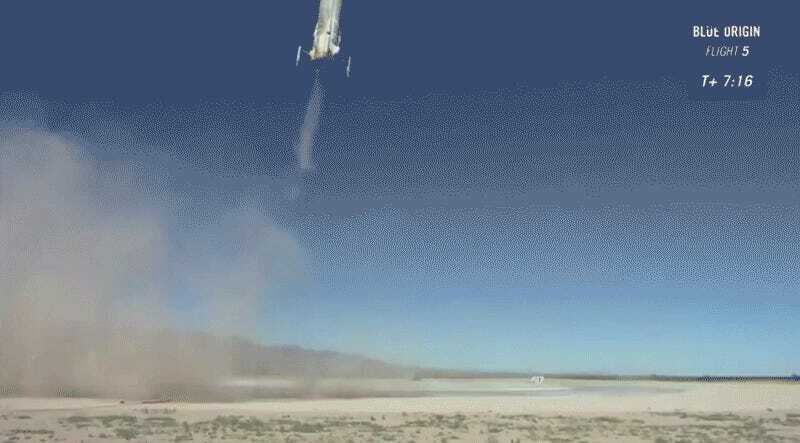 After spending the last few days telling us that its New Shepard rocket was almost certainly going to be destroyed in today’s in-flight launch escape test, Blue Origin surprised everybody—even itself—with a clean landing of both booster and crew capsule. 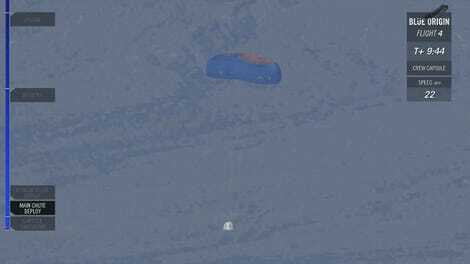 Moments ago, Blue Origin conducted an in flight test of its launch escape system, separating a crew capsule from its New Shepard booster at an altitude of 16,000 feet. This test was critical to ensure that the rocket will be safe for human passengers, whom Blue Origin hopes to start flying into sub-orbital space as early as next year. Not only did the crew capsule make a clean separation, deploy its parachutes, and land softly in a small cloud of dust back on Earth, but the booster—which everybody expected to go splat—continued on its merry way into suborbital space, after which it succeeded in landing smoothly back on Earth for a fifth time. That booster is now slated for a well-deserved retirement in a museum. 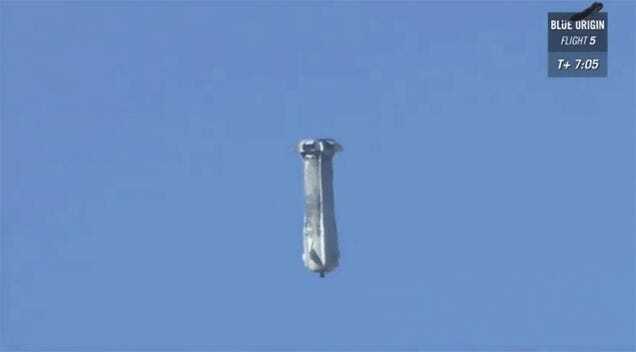 Although Blue Origin has tested its launch escape system on the launchpad before, this is the first time such a system has been tested, by anyone, in flight since the 1960s. It was almost too perfect.